A week ago, there were rumours that singer Jose Chameleone had quit alcohol and drugs but we were right to hold onto our doubts. Last Saturday during the annual Club MegaFest, the singer, who was the last performer of the night, proved to us that alcohol and him were inseparable. What with him showing up on stage all intoxicated and barely able to stand! 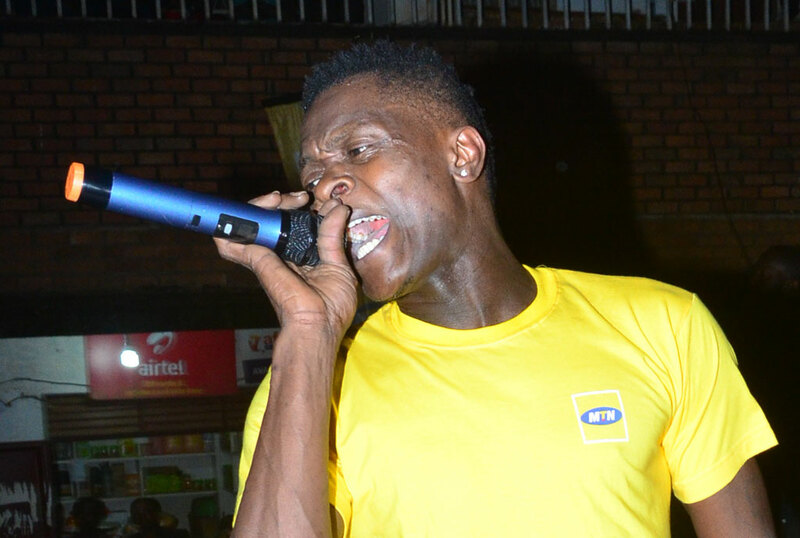 During his performance, Chameleone kept throwing jibes at fellow artistes, claiming they have a few songs and that only he can sustain a show to the next day. In the middle of his performance, he began attacking the rather dull revellers in the VIP section, abusing them before ordering security to free the people in the ordinary section to join the VIP group. When security refused, Chameleone came down and forced about 50 people in the VIP. The singer then climbed on the porch of the flat next to the stage, where he was joined by revellers and as he jumped back on the stage, he nearly missed a step.